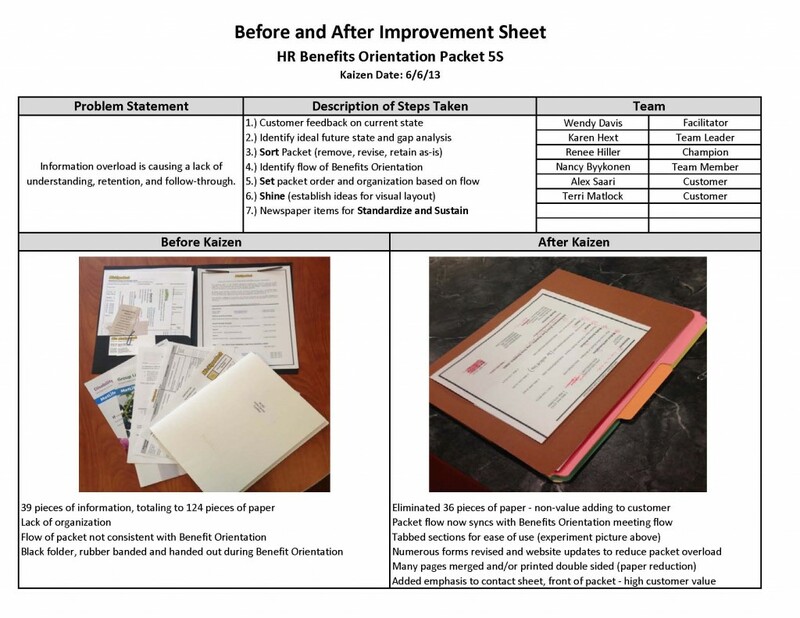 A short improvement event (utilizing 5S methodology) occurred today to solicit feedback from recently hired employees on the value adding (and non-value adding) items in the Benefits Orientation Packet. The packet is designed to provide resources for new staff to make decisions on benefits such as medical, dental and vision insurance, retirement, etc. The packet has collected information and resources over time and through many benefit changes – which has resulted in a lack of organization, duplicate and redundant information, and non-value added information to the customers. Check out the Before and After sheet of the improvements the team made in just a few short hours. 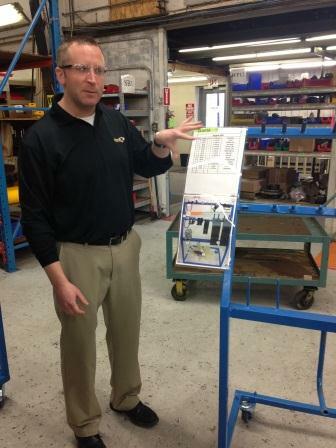 General Manager, Scott Raffaelli showcasing their "shopping cart"
Megan shares her CAT experience! I’m back! 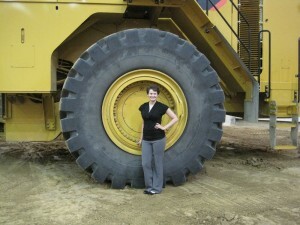 This summer I took a break from my job as a Student Process Improvement Coordinator to participate in a Technical Marketing internship with Caterpillar, Inc. in Peoria, Illinois. Although my primary job functions did not include continuous improvement work, I was able to gain exposure to both Lean and 6 Sigma efforts at Caterpillar during my internship. During my internship, I took both my DMAIC and DMEDI 6 Sigma green belt tests. DMAIC stands for Define, Measure, Analyze, Improve, and Control. DMAIC is useful for CPI processes, which are Continuous Product/Process Improvement projects. DMEDI stands for Define, Measure, Explore, Develop, Implement. DMEDI is useful for NPI projects, which are New Product/Process Introduction projects. As someone who was only familiar with the Lean methodology prior to my experience at Caterpillar, it was interesting to see some of the overlapping of concepts and tools used, as well as the new concepts and tools I was unfamiliar with. 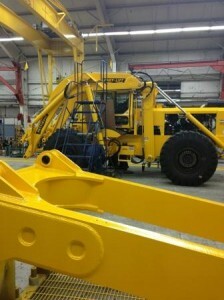 In addition to my 6 Sigma training, I was also exposed to CPS– the Caterpillar Production System. Like Lean, CPS stems from TPS, the Toyota Production System. The use of CPS was very apparent on the various facility tours that I was able to participate in. At the different facilities there were metrics boards on display, and visual controls used for a variety of things, such as lines on the floor indicating where walking space was, signs to let people know that they are entering an area where extra safety equipment is required, etc. Assembly lines were also set up to work for the people working on them; every tool seemed to have a place that it belonged. On assembly lines there were also error-proofing methods used to make sure that the product was being made to exactly meet the specifications of the customer. My experience this summer with Caterpillar was a fantastic opportunity and I learned so much, so I am excited to use my new 6 Sigma knowledge as I dive back into being a Student Process Improvement Coordinator at Michigan Tech! Hello out there! Is there anyone else in higher education administration practicing Lean principles? Why yes, yes there is! 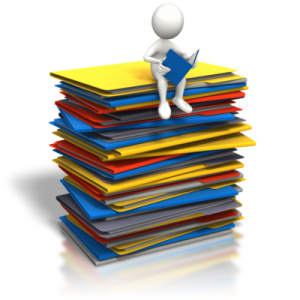 Below are some links to other Universities who practice Lean. It is great to see what’s out there and get ideas for our Lean journey. University of St. Andrews appears well established on their journey. Check out the pocket guide on their main page, it is full of great information. I really like their “Ideas” page too. University of Washington Tacoma‘s Organizational Effectiveness Program uses Lean to support it’s services (see right hand navigation bar). They provide coaching and facilitation and have packaged training programs that departments can request for their staff. University of Iowa’s Workplace Consultation group has a University of Iowa Lean program that started in 2006. They are also using kaizen events to make improvements. Let’s Get Organized! How to 5S your desk! Look around your desk; are there papers everywhere, folders stacked in piles, sticky notes all over your computer, stapler missing, etc.? If you answered yes to any of these questions, keep reading so you can get organized. Even though spring has already past, it’s not too late to do some cleaning, so let’s get organized before the school year starts! So how do you even begin to get that messy desk organized? 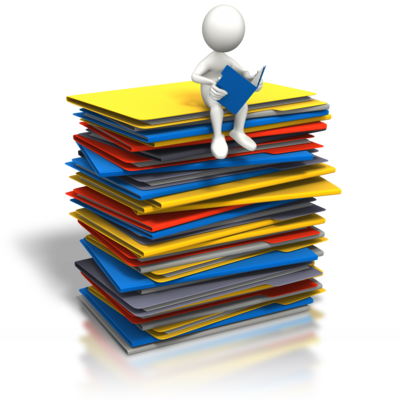 If you follow Lean 5S concepts and principles you will be organized in no time. 5S is a Lean concept that contains five components; Sort, Set in Order, Shine, Standardize, Sustain. Let’s get started! Sort-Eliminate the unnecessary items from your desk by placing everything into three piles; retain (keep), return (doesn’t belong on your desk), rid (you don’t even use). Set in Order-Now that you have everything sorted, everything now needs a place and everything needs to be put in its place. The retain pile items should be placed close or on your desk because these are the things you use the most. The return and rid piles need to be put back where the items belongs because you don’t use them. Shine-Everything is in its place now so it’s time to clean. Clean your desk by dusting, sanitizing, and at the end of the day clean up any lose items that are not in their proper place. Standardize- So now your desk is organized and clean and you would love to keep it that way. To do this you need to create a standardize process for yourself of sorting, setting in order, and shining every time something new is given to you and could potential end up on your desk. Sustain-The last and final step to make your organization of your desk successful is to apply the 5S principles to other areas of your job. Examples: supply closets, book shelves, file cabinets, colleagues’ desks. If you start applying these principles it will sustain the culture of organization throughout the office and you will continue to keep your desk organized. Follow the 5S’s and your desk will become organized and stay that way. Good luck! “Becoming Lean” is about much more than implementing a set of tools and measuring metrics. A big part of becoming Lean is the culture and attitudes of those who are involved in the processes. Leaders are extremely important in instilling the culture changes into their employees so that their Lean journey can be successful. Lean leaders should empower employees and encourage them to solve problems themselves to continually improve the processes they work with. This is why team members who are closest to the work should make up about 50% of the team for Kaizen events. When leaders “go to the gemba,” they should try to understand the process and ask questions to surface any issues so that employees can solve problems based on observations. An example of how employees can be empowered to make changes is by using an IDEA board— “IDEA” standing for Improvements Driven by Employee Action. This allows employees to compare the current state to their ideal future state, describing the improvement and what problems it would solve. On Michigan Tech’s campus, there is an IDEA board in the Memorial Union Building kitchen where employees can post their ideas for improvements. A team in Facilities just wrapped up a 5S project on their shared network drive, or as they call it, “the P drive.” 5S is a workplace organization tool is used to reduce waste and organize a workplace (or in this case a virtual workplace). 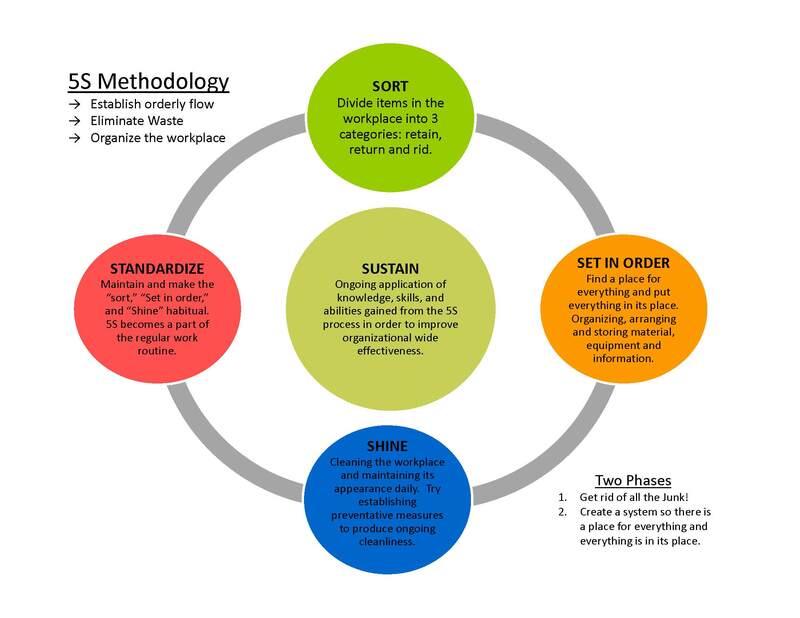 5S also incorporates methods to standardize improvements and plans to sustain changes made. Some of the benefits of 5S include: less clutter, simplifying tasks, effective use of space, lower accident and incident rates, convenient work practices, ergonomics, control through visibility, etc.! Check out their report out PowerPoint presentation below, which tells their 5S story and highlights all of the improvements they made. I am Allie Olano, one of the new Process Improvement Coordinators. I will be working for Theresa Coleman-Kaiser and Wendy Davis on Lean initiatives and Continuous Improvement throughout campus. I am from Tecumseh, Michigan and I am a 5thyear Business Management and Marketing student at Michigan Tech. I also work for the Dining Services department as the Student Manager for McNair Dining Hall, and I am also the assistant to the Associate Director of Dining Services, Bill Hall. I am currently working on a few improvement projects, one being Batch vs. Flow of invoices from one department to another. Human perception makes us believe that if we batch our processes it is faster than performing one-piece flow. However, one-piece flow is proven to result in faster production time and with fewer errors due to more efficient work. Another project I am working on is bringing back the Secret Shopper program in the Campus Bookstore, to measure customer service. We are looking into programs that would give timely feedback on a more frequent basis and also address what the customer sees as value to them. This is just a little bit about what I am currently working on. If you have any ideas or thoughts, please feel free to contact me at anolano@mtu.edu. Have a nice day! I am Megan Johnson, a new Student Process Improvement Coordinator working along with Theresa Coleman-Kaiser, Wendy Davis, and Allie Olano. I am a third year Biomedical Engineering student with a Biological Sciences minor, and I’m from the small town of Esko, MN. I’m still in the process of learning a lot about Lean, but I am excited to put my new knowledge into action soon! One of my first improvement projects this summer will be with Merchandising, looking for ways to reduce the time spent on special orders. An example of a special order that comes through Merchandising is shirts that are purchased specifically for special events on campus. I can be contacted at meganj@mtu.edu. Have a great day!